The study of free radicals has gained prominence in recent years. You might have glanced casually at this phrase on the label of your health supplement. You might have also seen fitness enthusiasts taking C60 supplements in their diet. While it is true that many people are aware of free radicals, they don’t know their full impact. Free radicals are toxic byproducts of oxygen metabolism that can cause significant damage to living cells and tissues. Now, it is time you learn how C60 can help you fight off free radicals. How Do Free Radicals Form? In nature, everything stays in equilibrium. However, things become unstable and toxic when imbalances occur. The same is true within the human body. Your body, like all elements in the universe, is made up of atoms. There are electrically charged particles in the atom, which keep the atom in a balanced state. Due to external disturbances, like stress, lifestyle changes etc. some negatively charged particles go off their original path. Thus, free radicals get created. Not every free radical can harm your body, but having too many can lead to oxidative stress. Normally, oxidation happens when oxygen molecules get into bonds with other compounds. Too much of this results in oxidative stress. Under those circumstances, your body exerts strain on your muscles and skeleton. You might be feeling tired all the time or having insufficient sleep. There will be inflammation in your joints and your body parts ache often. As free radicals attack every part of your body, you turn weaker and weaker. This is because your immunity goes for a toss. Furthermore, your body reaches a state where it cannot defend itself from toxins. Other than the above symptoms, free radicals can lead to severe diseases in the long run. Heart problems, loss of eyesight, or growth of cancer cells can occur due to free radicals. Nevertheless, your body produces enzymes known as antioxidants, which counter oxidative stress. These antioxidants slow down the process of oxidation and help stabilize your immunity. These are available in nature within various foods we consume. They are also produced as dietary supplements. C60 is one such amazing product which has many antioxidant properties. Age-related issues start showing early when there are more free radicals in your body. This also causes tissue damage, sudden weight gain, and other problems. C60 may be able to reverse all these negative impacts. But first, what is C60? Let us see. C60 is a unique structure of 60 carbon molecules. C60 Fullerene has been getting the attention of the science world for ages. Scientists discovered its exceptional properties through various research studies. Among those, the way C60 acts as an antioxidant baffled their minds. Though chemically inert in its natural soot form, C60 is soluble in olive oil. C60 in olive oil has the combined advantages of olive oil and strong carbon atoms. It attacks the free radicals and defends your body, without losing its stability. Why Do You Need C60? The most compelling evidence about C60 came to light during a study on the lifespan of rats. There is evidence suggesting that C60 in olive oil showed an increase in their lifespan. Many people have changed their sedentary lifestyles and became more active by using C60. When you are not gasping for breath after every few steps, you indeed feel more energetic. There are many cosmetic products such as serums and face-creams which use C60 to treat skin- and age-related issues. For this reason, it is now increasingly known as the fountain of youth. Have you been unsuccessful in making positive changes in your lifestyle? Are you looking to find freedom from your lethargy? If you answered yes to either of these questions, then C60 may be the right solution for you. 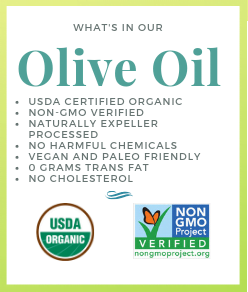 To find out more about C60 olive oil, call us at 713-686-9662. You can also click here to order C60 supplements now!